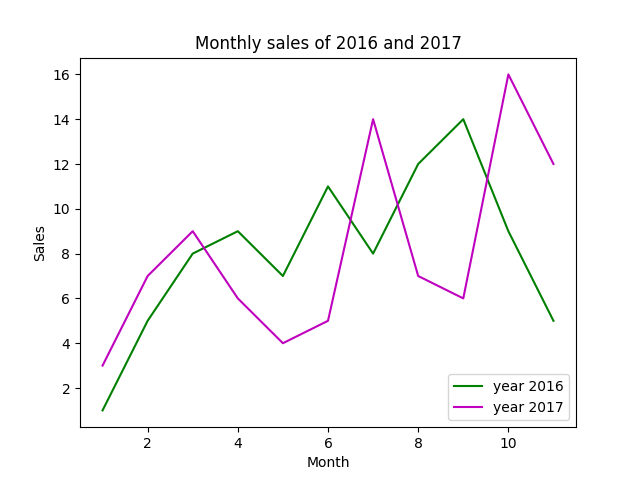 Line 3: Plots the line chart with values and choses the x axis range from 1 to 11.
lets take an example of sale of units in 2016 and 2017 to demonstrate line chart in python. Line 2 and 3: Inputs the arrays to the variables named sales1 and sales2. Line 4 and 5: Plots the line charts (line_chart1 and line_chart2) with sales1 and sales 2 and choses the x axis range from 1 to 12. 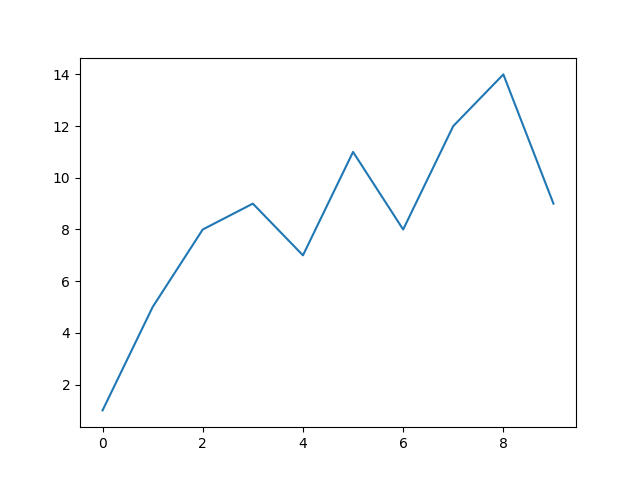 Line9: plots the legend for line_chart1 and line_chart2.